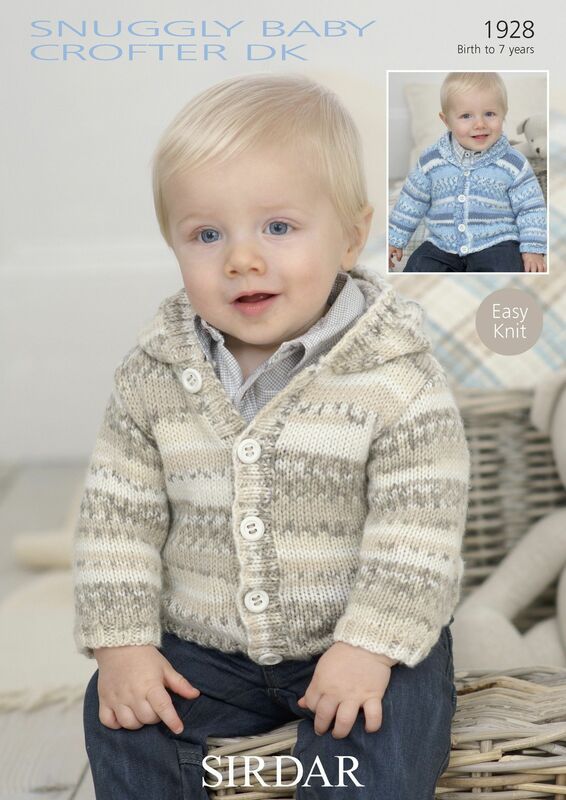 Shawl Collared and Hooded Cardigan knitted using Snuggly Baby Crofter DK. Also required: Stitch Holders and 1 x 3.25mm (UK10) 80cm Circular Needle. Also suitable for: Snuggly DK, Supersoft DK, Snuggly Kisses DK, Snuggly Baby Bamboo DK, Snuggly Pearls DK and Tiny Tots DK. Amounts may vary.